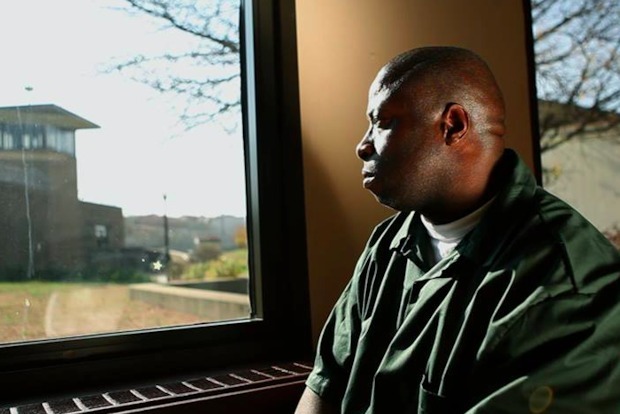 BUSHWICK — The story of David McCallum, a man some believe was wrongly convicted of murder nearly 30 years ago, will be screened next week in the same neighborhood where he was arrested. The film "David & Me" follows McCallum and the effort of filmmaker Ray Klonsky, attorneys and advocates to get McCallum released from jail. The documentary, which has been shown across Canada and at the Manhattan Film Festival, will be screening at the annual Bushwick Film Festival next weekend. The story centers on McCallum and Klonsky, who started writing to the incarcarated McCallum as a teenager. But McCallum is also just one of many people in the neighborhood who may have been wrongly thrown into jail or faced police discrimination, the filmmakers said. "It’s an honor to be able to present this in David’s old neighborhood, where his roots are strongest," Klonsky said. "Hopefully this will be an opportunity for the community to come out and support." McCallum confessed to murdering 20-year-old Nathan Blenner in 1985. He made the confession along with a man named Willie Stuckey, who died in prison. Both later claimed they'd been coerced and recanted their stories. Advocates said that no physical evidence tied the two then-16-year-olds to the scene of the murder, and witnesses identified men whose descriptions didn't match McCallum or Stuckey. McCallum's case is currently being reviewed by the Conviction Review Unit at the office of District Attorney Ken Thompson, who has made it a goal to review wrongful convictions claims. Boxer Rubin "Hurricane" Carter, an advocate for the wrongly incarcerated, brought together many advocates for McCallum and made it his dying wish to see him free. McCallum's family, the filmmakers and McCallum's attorney Oscar Michelen will be on hand to answer questions after the screening. Advocates hope the documentary will bring more attention to McCallum's case — and ultimately set him free. "As long as we’ve been working on it, we wanted to see David get out," Lamy said. "We’re still working on it." The Seventh Annual Bushwick Film Festival runs from Oct. 2. to Oct. 5. Doors for "David & Me" open at 5:30 p.m. at Lightspace Studios, 1115 Flushing Ave., on Saturday, Oct. 4. Tickets for the film cost $10.